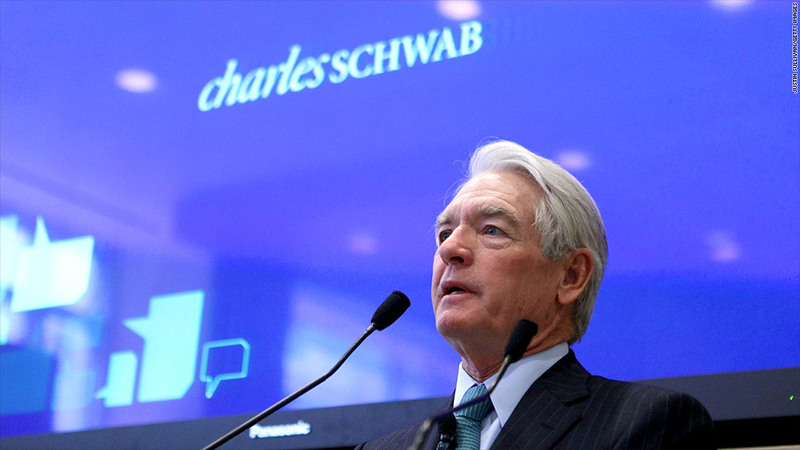 Charles Schwab is the latest to attack high-frequency trading. As criticism of high-frequency trading grows, Charles Schwab is the latest to take a swing at what he calls "a growing cancer that needs to be addressed." The computer-driven practice, in which traders use algorithms to buy and sell stocks in the blink of an eye, creates an unlevel playing field for individual investors, the discount brokerage's founder said in a blog post he co-wrote with CEO Walt Bettinger. "If the practice is simply a scam," they write, one "solution is to simply make it illegal." The criticism comes the same week as the release of Michael Lewis' latest book "Flash Boys: A Wall Street Revolt," which slammed the trading practice. Lewis claims the stock market is rigged in favor of high-frequency traders. This form of trading is eroding investors' confidence in the market, wrote Schwab. "High-frequency trading isn't providing more efficient, liquid markets; it is a technological arms race designed to pick the pockets of legitimate market participants," the post said. Schwab and Bettinger offer some solutions to resolve the issues. For instance one of the problems is that high frequency traders pump out millions of orders and then cancel them, right when investors are ready to buy the stocks. One of the solutions Schwab proposed was instituting high cancellation fees to discourage high-frequency traders from reversing their orders. After the blog post came out, stocks of discount brokerage firms fell. ETrade (ETFC) dropped almost 7%, TD Ameritrade (AMTD) fell 5%, while Charles Schwab (SCHW) fell 1.5%. Lewis' book release, and accompanying promotional TV interviews, reportedly also drove the high-speed trading firm Virtu Financial to delay its initial public offering.